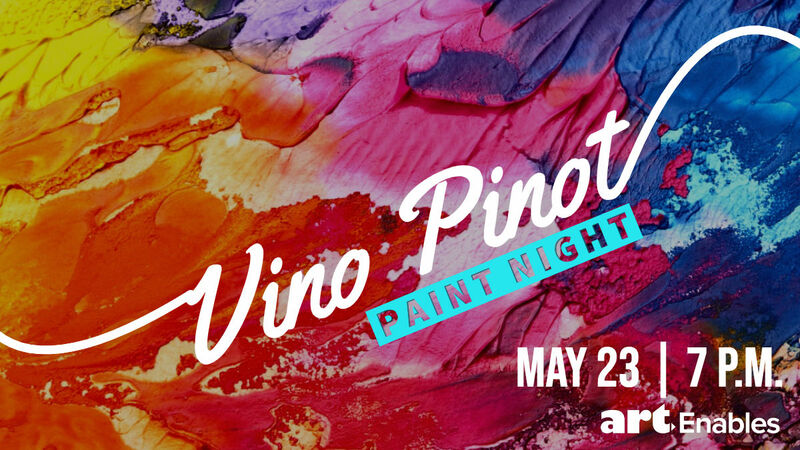 Your paint night ticket includes all painting materials, light snacks, and two drink tickets with additional drinks available for purchase. Doors open at 6:30 p.m. and painting begins promptly at 7 p.m. Proceeds benefit Art Enables' mission to provide visual artists with disabilities the opportunity to make, market and earn income from their compelling and original artwork. Art Enables is a non-profit supported employment program and art gallery dedicated to providing individuals with disabilities the opportunity to make, market, and earn income from their original and compelling artwork. Since 2001, Art Enables as been providing artists with disabilities the creative and vocational training needed to become proud, professional artists. Alice Park procures medical equipment and services for Veterans Hospitals for Defense Health Agency but also moonlights as an instructor for Paint Nite and Plant Nite. Alice also sings and plays piano for weddings, galas, festivals, and other special events such as NBA games and the National Christmas Tree Lighting. She is also COO of a Web Development company, Lexco Digital. Alice has no background in art whatsoever, apart from teaching drunk people how to hold a paintbrush at Paint Nite, so come to relax and have fun--she is just here to have a good time. Your ticket includes all painting materials, light snacks, and two drink tickets. Art Enables has partnered with Give Lively to securely process your online donation. This transaction will appear on your credit card statement as "Art Enables". This transaction is subject to Give Lively's Terms and Privacy.